The Romance of Spanish History. New York: Harper & Brothers,	1869. First edition. 8vo., orig. rust cloth, (xvi), (17)-462, (6)pp. ads. Marks on front and rear pastedown, some light wear to the foot of the spine but o/w a better than very good but not quite near fine copy. Pyrenean Festivals. 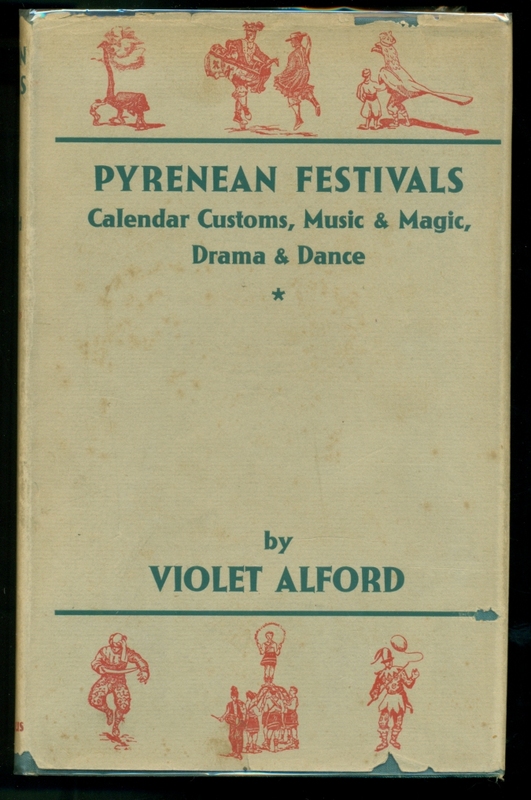 Calendar Customs, Music & Magic Drama & Dance. London: Chatto and Windus, 1937. First edition. Tall 8vo., cloth, (12), 286pp. Some foxing to e/papers o/w a near fine copy in d/w with has chippng to the extremities but is still very good. Spain and the Spaniards. By....Translated from the Tenth Edition of the Italian by Stanley Rhoads Yarnall. Philadelphia: Henry T. Coates,	1895. In two volumes. First of this edition. Tall 8vo., orig. blue/green cloth dec. in gilt on upper cover and the spine, (396); (394)pp. Name o/w a fine copy in the linen d/w's as issued. Spain Of To-Day from Within. By......With an Autobiography of the Author. Chicago: Fleming H. Revell, (1909). First edition. 8vo., orig. green cloth, 220, (4)pp.ads. Fine in d/w with pieces out at the spine ends but still very good. 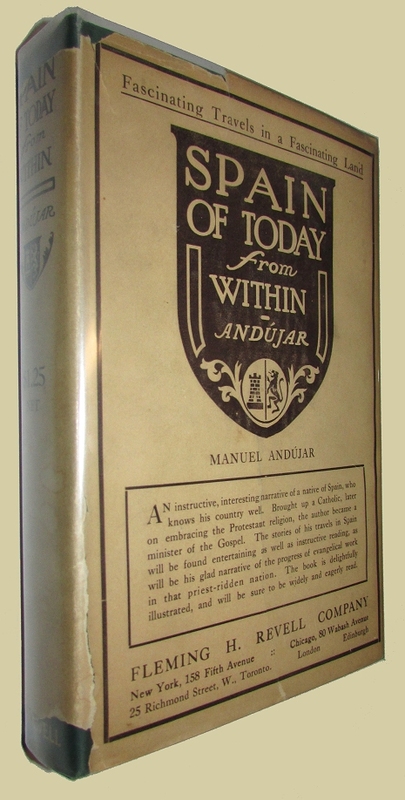 "An instructive narrative of a native of Spain, who knows his country well. 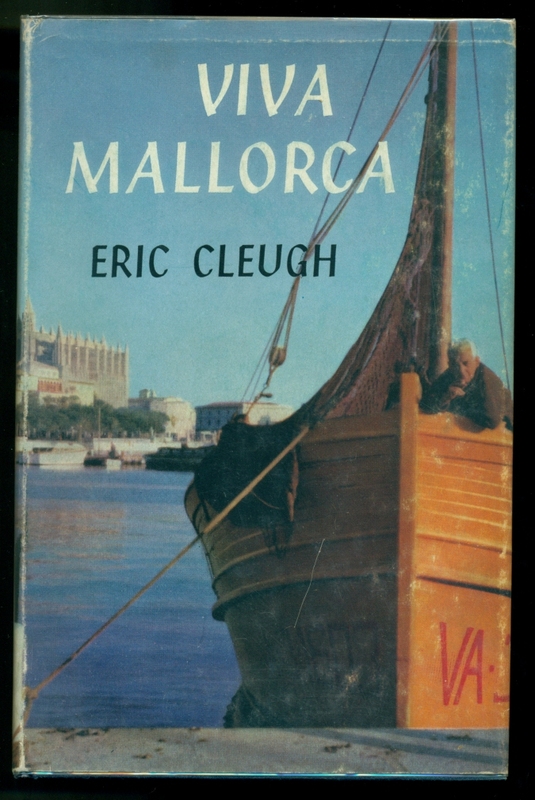 Brought up a Catholic, later on embracing the Protestant religion, .......the stories of his travels in Spain will be found entertaining as well as instructive reading, as will be his glad narrative of the progress of evangelical work in that priest ridden nation...."
Gibraltar and Its Sieges WIth Description of its Natural Features. London: Thomas Nelson and Sons,	1879. Sm. 8vo., orig. red pictorial cloth, 158, (8)pp.ads. Some minor wear to the spine ends o/w a very nice copy. The Martyrs of Spain and the Liberators of Holland. 8vo., orig. green cloth, 400pp. Bookplate o/w fine. Highway into Spain. (the first part) (WITH): Beyond the Pyrenees. (the second part). London: Peter Davies,	1931. Two volumes. First of this two volume edition. 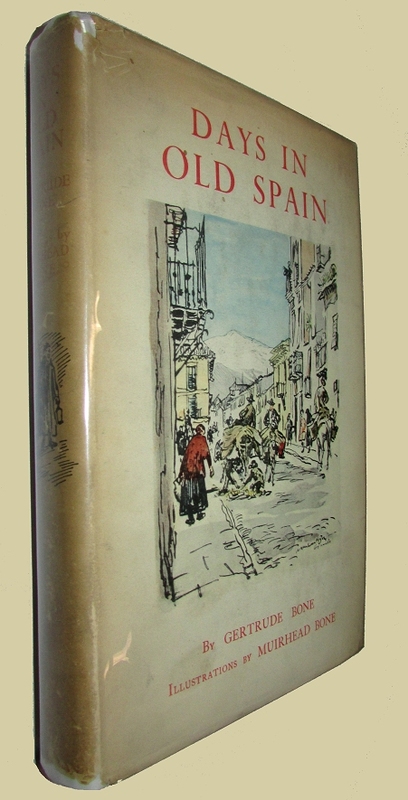 (First published 1930 as "Highway into Spain in one volume). Tall 8vo., orig. purple cloth, 294; (295)-686pp. Spines very slightly faded o/w fine. Italy, Spain and Portugal, With An Excursion to the Monasteries of Alocbaca and Batalha. New York: Wiley and Putnam,	1845. In two volumes. Later U.S. edition. 8vo., cont. half calf, marble boards, leather spine labels, xii, 174; xii, 256pp. A fine copy. London: Methuen & Co.,	(1924). First edition. Tall 8vo., orig. green cloth, xvi, 240, 8pp.ads. Name on title and e/papers, a few short tears at the foot of the spine o/w a near fine copy. The Wars of Succession Of Portugal and Spain, From 1826 to 1840: With Resume of the Political History of Portugal and Spain to the Present Day. London: Edward Stanford,	1870. In two volumes. Tall 8vo., orig. blue blindstamped cloth, (viii), (486), ii; (xii), (488), iii pp. errata. Name on titlepages, some minor foxing o/w a near fine set. Days In Old Spain. Illustrations by Murhead Bone. Name o/w fine in d/w with chips to the spine ends. Seville An Historical and Descriptive Account of the "Pearl of Andalusia." London: John Lane, The Bodley Head,	1907. First edition. 8vo., orig. red cloth dec. in gilt, (xxii), (140) pp. followed by 300 plates. A fine copy. Portugal and Galicia, With A Review of The Social and Political State of The Basque Provinces. London: John Murray,	1848. Third edition. 8vo., orig. red cloth, viii, 376pp. Wear to spine ends o/w very good. Three Vassar Girls Abroad. Rambles of Three College Girls on a Vacation Trip Through France and Spain for Amusement and Instruction. Boston: Estes and Lauriat,	1883. First edition. Tall 8vo., orig. pictorial paper boards, 236pp. Inscription on e/paper, boards rubbed along the spine with a touch of wer to corners but certainly a very good copy. Two Middle-Aged Ladies in Andalusia. London: John Murray/Readers Union, 1965. A nice copy in a very good d/w. Viva Mallorca Yesterday and Today in the Balearic Islands. London: Cassell, (1963). First edition. Fine in a lightly rubbed d/w. History of the Balearic Islands. L'Espagne Par........Illustree De 309 Gravures Dessinees Sur Bois Par Gustave Dore. Large 4to., orig. publishers red cloth with elaborate decoration in black & gilt, A.E.G., 799pp. This copy has been professionally rebacked with the original spine laid down and the inner hinges reinforced but still a near fine copy. The Romance of History. Spain. London: Edward Bull,	1830. In three volumes. First edition. 8vo., orig. paper boards, printed paper spine labels, (x), (1)-367, (4)pp.ads., vi, (1)-354, vi, (1)- 347pp. Large paper label from the "Country Book Society" (lending library) covering the upper board of volume one, no other library markings, some minor wear to the spine ends of volume one and two, outer front hinge of volume one starting but this is still a fine copy in the original boards. Joaquin Telesforo Trueba y Cosio [1805-1835]. Born in Spain, Trueba emigrated to England on the overthrow of the Constitutional party. He was actively involved in the literary circles of London until his return to Spain in 1834. He published several works in English, among them, "Gomez Arias" (1828), "The Castilian" (1829), "The Conquest of Peru" (1830), as well as two plays in Spanish, and some French dramas. The above work, published as the second series of "Romance of History" was quite well received. (other works in the series were, England, France and Italy.) This work begins with the Gothic dynasty of 718 and continues through the early 1700's. London: John Murray, 1960. First edition. Two thirds of the book describes the authors' life in the mountains of Andorra, in the Pyrenees between Spain and France, the other third provides a contrasting picture of life managing a pig farm on Ibiza in Spain's Balearic Islands. Seek The Darkness. The Story of Juana La Loca. Madrid: NP,	1953. With a signed presentation inscription from the author. 8vo., rebound in full blue leather. Near fine.